Florida lifestyle living! Bring your boat or RV! NO HOA! 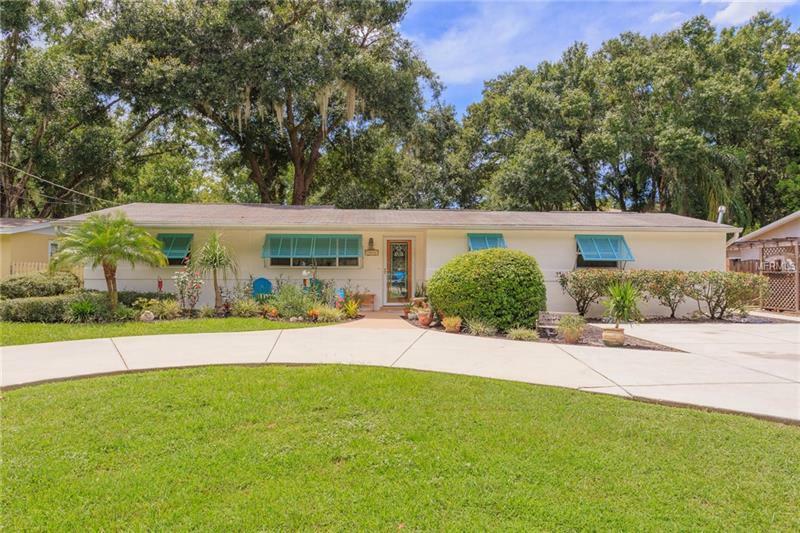 Rarely available MOVEâIN READY ranch style home new on the market in lovely Griffin subdivision of desirable Lake Magdalene area just north of Carrollwood. This beautifully maintained and spacious 3 bedroom/2 bathroom home sits on almost 1/3 of an acre and is ready for you to put your decorative touches on! Recent updates include: NEW paint inside and out (07/2018), NEW A/C (2017), NEW windows (spring 2018) with beautiful hurricane proof Bermuda shutters and NEW well pump. Kitchen is wrapped by charming dining area, breakfast nook and gorgeous screened in huge patio. Updated kitchen offers NEW stainless steel appliances and wood cabinets providing ample space for storage, prepping and entertaining. Dining Area opens to a welcoming and spacious family/living room. All flooring in home is practical and attractive: tile in wet areas and quality Pergo laminate throughout, NO carpet. This home had only 3 owners. Home has a lovely fenced in backyard with mature lime and lemon trees and storage/work shed. You must move quickly to own this fabulous home nestled among oak-lined streets, lake views, and a unique park-like setting with no HOA fees and yet conveniently located only 5 min drive to I-275, close to shopping, hospitals, schools, restaurants and more.